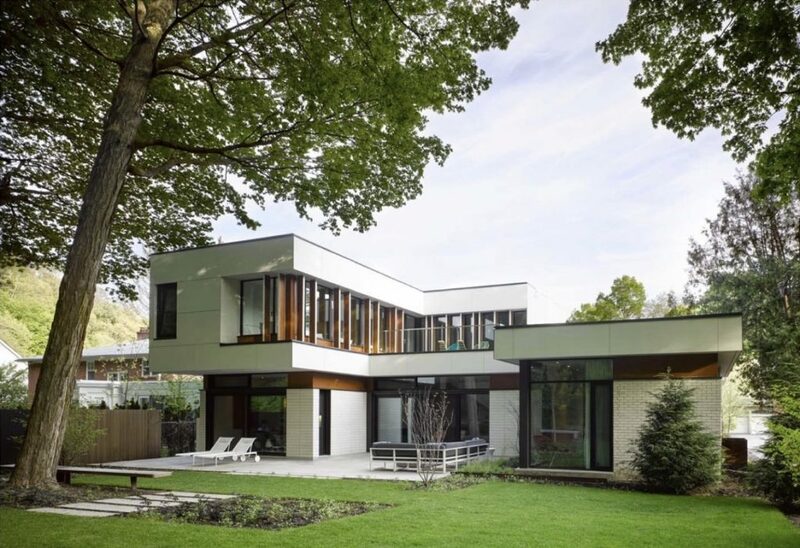 The Valley House project was completed by Toronto-based architecture firm Superkül. 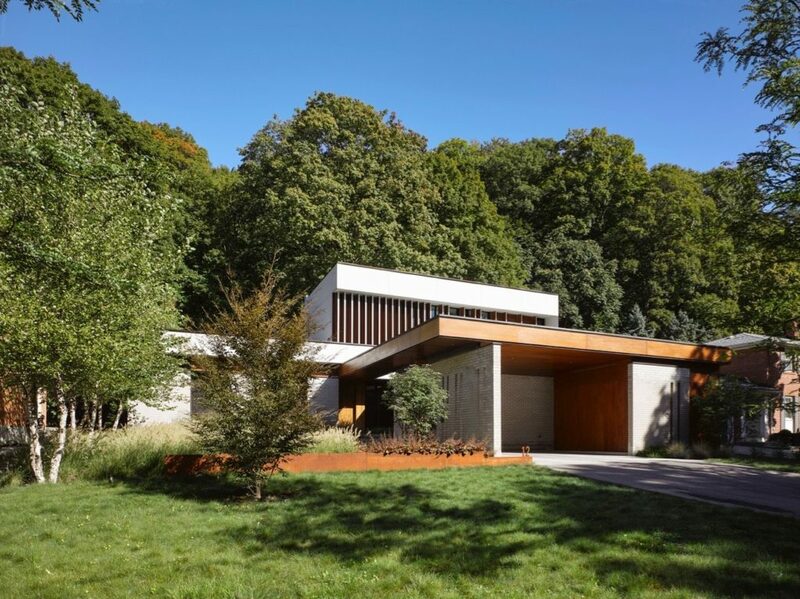 Located in Hoggs Hollow on a densely forested slope, the midcentury modern home carried an eloquent bone structure, while offering plenty of room to work with to enhance and amplify various parts of the house. 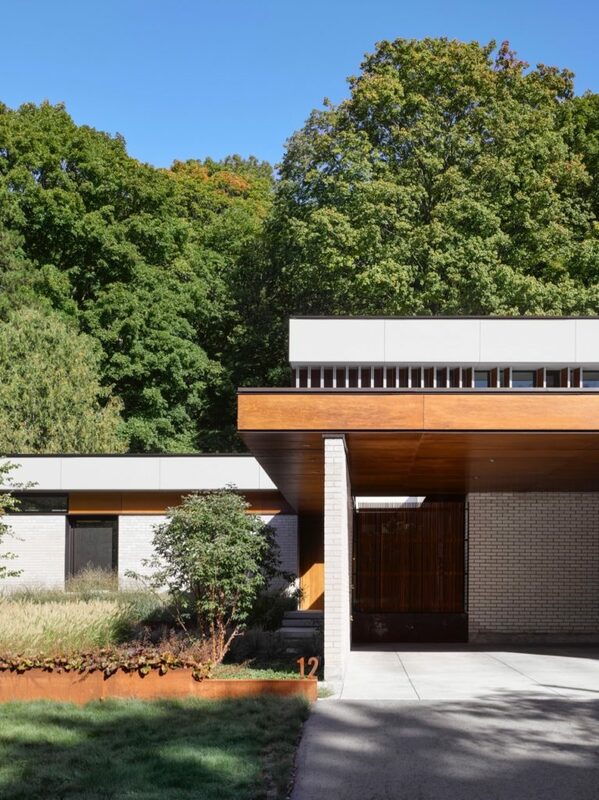 Built for a family of five, the desired results after renovation included more open space and an uninterrupted integration between indoor and outdoor without disrespecting the original heritage of the home’s modernist qualities. Which parts of a new project excite you the most? Generally speaking, we take inspiration from the particularities of site and if there is an existing building to work with, we always respect the positive attributes of the original if there are any to be found. Here, the site is spectacular and the Mid-Century Modern architecture of the existing home was lovely; it had good bones. To be able to build on both of these in a way that is consistent with the DNA of site and building – but in a completely modern and new way – was wonderfully rewarding. What are the emerging trends in residential architecture that will shape our way of living in the next ten years? There is greater and greater attention to and emphasis on energy efficiency, sustainability and durability, and a less dogmatic approach to modern versus traditional. Instead, a sensitivity to history and what came before results in a harmonious blending of old and new in the design of homes and residences. Can you tell us a bit about the story of this project and its owners? The clients came to us having fallen in love with the spirit and sensibility of the existing house. 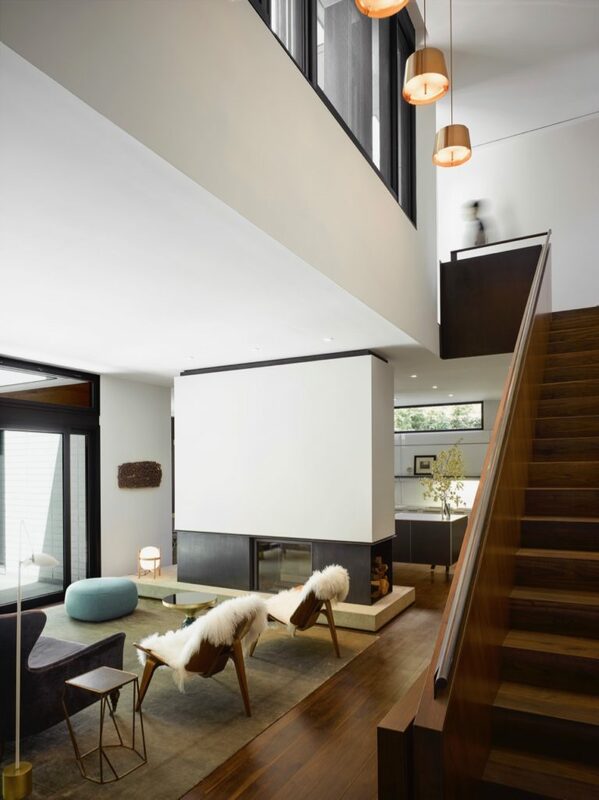 They wanted to honour it, but were also keen on making their own statement and providing a layer to the design of the home, expressed in their particular love of material and colour. How important was the contribution of your clients? Our clients’ contributions are always critical, as our design process is intrinsically collaborative. Here, the house is truly an expression of the clients’ tastes and passions. Was it a conservative restoration or an upgrade to modern living? It was definitely an upgrade to modern living that provided increased light, air and ventilation, and achieved a greater sense of spatial and visual openness. 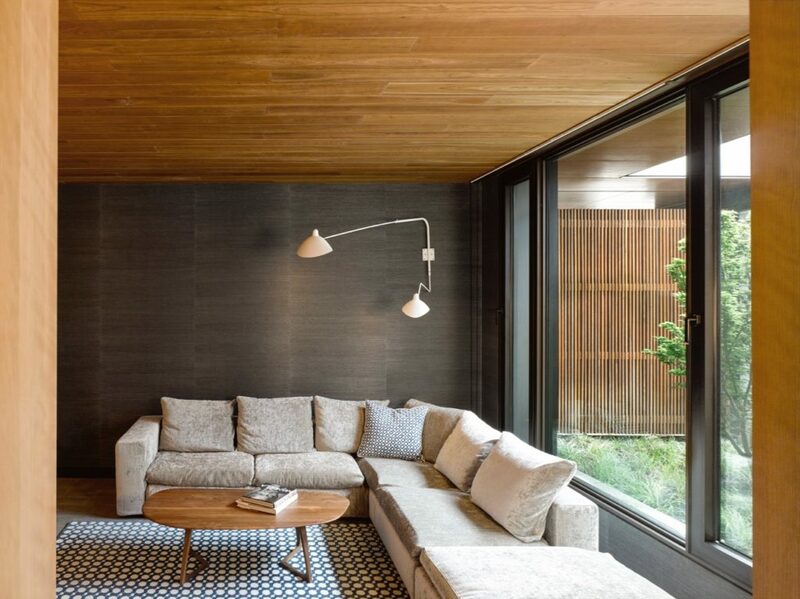 We love the way the courtyards and interior materials fuse the house with its site; it’s an absolute delight to sit and watch the trees and wildlife through the floor-to-ceiling windows at the rear of the house. 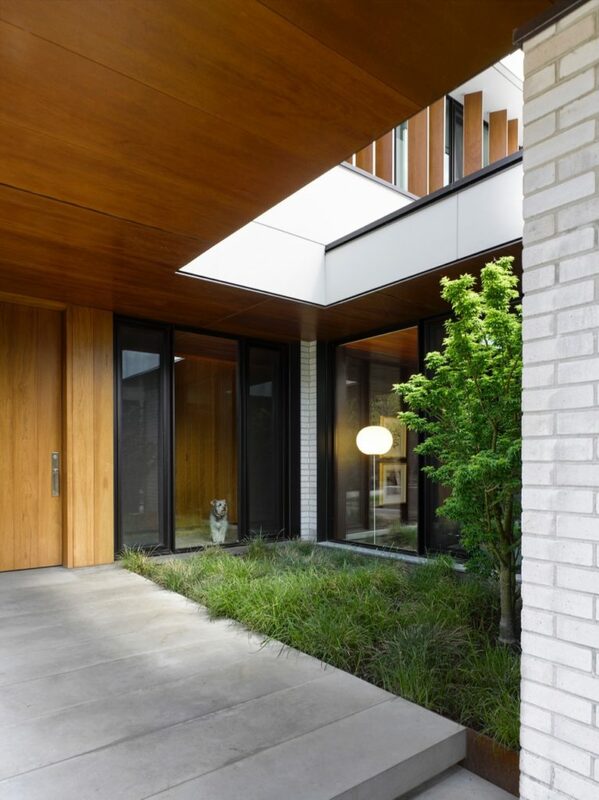 The large expanses of glass erase the boundary between interior and exterior. How much of the original was kept intact? Approximately 65% of the original exterior walls were retained, but the rear façade and the interiors were completely redone. A small expansion to the rear of the house gave the clients more room to breathe, as did the addition of a partial second storey. Which existing elements inspired an update to a complete renewal of what was there and how was it accomplished? The existing bungalow and its relationship to the landscape inspired our design; it was very well conceived initially, and working with it in a way that not only captured but enhanced its spirit was an inspiring challenge. The dark frames were a complementary design choice and provide greater contrast. The window frames are Alumicor, supplied by ‘Just Aluminum and Glass’.